The Legacy Internship Program is a law enforcement career development course provided by the San Bernardino County Sheriff’s Department. This program is available to current or graduated college students who meet the criteria and are selected to participate in the program. The Legacy Internship Program is designed for both college students and graduates from qualifying educational colleges and universities seeking a dynamic career development program with training and mentorship through a progressive law enforcement agency, the San Bernardino County Sheriff’s Department. The program will highlight the variety of assignments in the department, which will enhance the overall knowledge and preparation of the intern and, subsequently, provide a well-rounded and department-ready candidate for potential employment. Interns can participate in the Legacy Internship Program for no more than six months. The Legacy Internship Program is also designed to expose the intern to numerous law enforcement services provided by the San Bernardino County Sheriff’s Department. 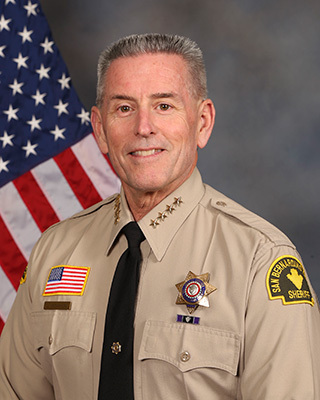 The intern will have the opportunity to participate in a unique experience and to gain insight in a variety of functions, which may guide the intern in his or her future career choice, especially as an employee with the San Bernardino County Sheriff’s Department. Legacy Interns are a non-paid and voluntary-only capacity with the San Bernardino County Sheriff’s Department. Legacy interns are citizen volunteers with the department. CLICK HERE to submit your inquiry or application to the program. Sheriff's Academy Class 202, Tried & True.